The management of metastatic cancers has changed significantly over the last decade with improved understanding of its underlying pathophysiology and signal pathways. However, a significant proportion of patients with metastatic colorectal cancer or metastatic squamous cell carcinoma of the head and neck has a poor prognosis, in many cases due to late presentation. For those patients, cure is typically not possible; treatment options can prolong life and improve symptoms. Thus, long-term survival rates in these metastatic settings, while improving, remain unacceptably low. Despite advances, the management of patients with metastatic disease continues to present challenges for clinicians. As innovative focused therapeutic options become available and treatment paradigms evolve, the need to discern when and how to incorporate these promising agents into clinicians’ armamentarium presents a great educational need. Moreover, continuing advances in our understanding of cancer pathophysiology, molecular pathways, the optimal and sequential use of targeted therapies in the context of chemotherapy and radiotherapy in the metastatic setting and the therapeutic potential of investigational agents currently being explored for various cancers, suggest educational and clinical practice gaps that must be effectively addressed to further improve outcomes in patients with cancer. 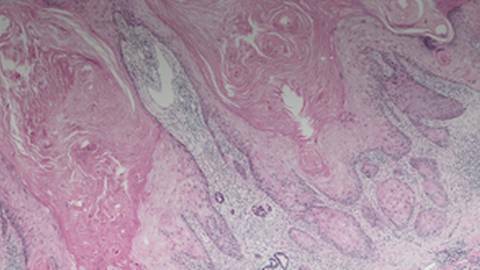 Given this information, Siyemi Learning in partnership with Prova Education, presents this module titled “Squamous Cell Carcinoma of the Head and Neck (SCCHN): Focus on Recurrent/Metastatic Disease”. This module reviews the diagnosis and staging of SCCHN, the decision-making process in the selection of cytotoxic therapies, an assessment of current treatment modalities, overcoming resistance to platinum therapy and next-generation therapies for the treatment of recurrent/metastatic SCCHN.